[WIP] LoMaS MMO OVERHAUL Mod - NOW WITH A SERVER! - RPG Style Classes, player-created NPC Cities, Economy, and more! Note: I make changes pretty constantly so some of these pictures could easily be out of date. Three types of coins, Bronze, Silver, and Gold, each worth 10 of the previous value. Bank systems - Infinite, secure storage of currency. Has a chest-sized storage space for items. Safe Block - a more convenient, local currency storage solution- minus the "permanent security" benefits of the bank. Citizen happiness determines their eventual productivity, giving income and products once a day! Zone protection mod that includes clientside hooks, which allows for a more immersive 'protection' mod. Explosion, firespreading, and mob protection! Meant for use only in fundamentally important server locations. Zone generation takes a long time when first created, but calculations are lightning fast afterwards. Not designed for "average user" usage. Primarily for protecting admin-created structures that make up a servers "setting." Moves the render height for clouds from 128 to 196. It really is that basic. Adds a road block that you can run faster on! Upcoming features are listed in order of priority, and the list will be updated (probably) infrequently. The list itself is subject to change pretty much whenever I want to change it. Sorry guys, such is the curse of being a casual developer. Roads that boost player movespeed when moving on them Done! Add the Outlands, where, after a certain distance away from the center of the map, hostile mobs become more numerous, dangerous, and unpredictable the further out you go. Expeditions past this distance are extremely deadly, but the rewards are equally precious. Admin Tower, an extradimensional place of mindgames and nightmares where, if a player passes all of the puzzles and trials, they will be granted a wish. More player classes, other interesting stuff? Community suggestions? Also, why "LoMaS"? It's an in-joke with my group of friends, and it just kinda stuck eventually. Note: This mod is currently compatible with Forge 2043- so when installing Forge, be sure to use that version. If you find any issues, use the Bitbucket to report them. It's easier that way. For anyone interested, I've started hosting an Alpha server for LoMaS that's running the latest version. It's very barebones at the moment, but hopefully we can start filtering in and exploring. Have a modding question? PM me and hopefully I'll be able to help. Check out my mod, LoMaS! Added road blocks today! Fairly simple stuff. When you stand on a road block, your movement speed is increased by a flat amount. 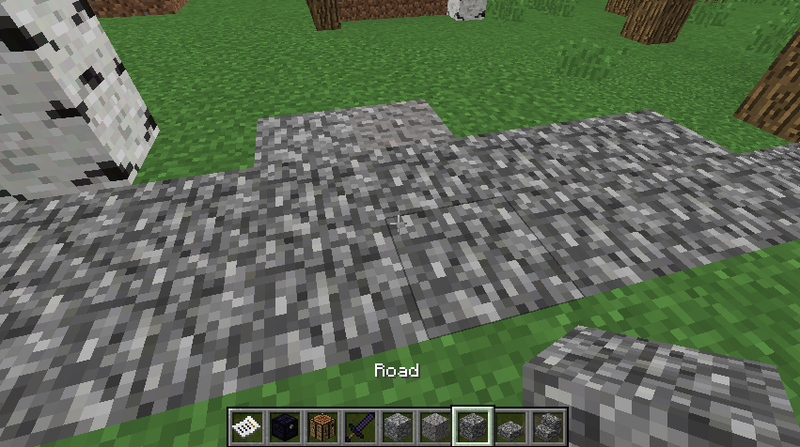 Note that block, slab, and stairs versions of the road have all been added. They are crafted using a mix of Cobblestone, Gravel, and Andesite. Above the road is a gravel and cobblestone block for visual clarification. p.s i dont care about BUGS! 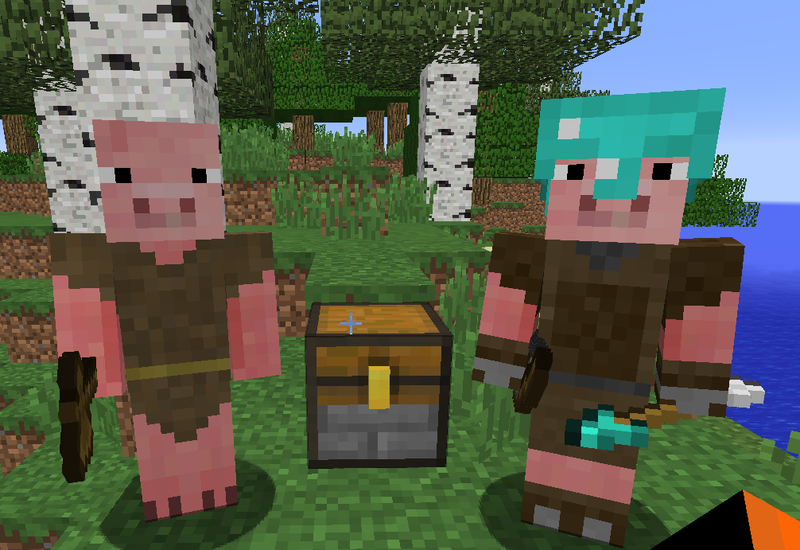 If that doesn't make it obvious, I'm going to be releasing Alpha versions of the LoMaS mod jar, updated for 1.8.9. In good news, I fixed the horrendous performance bug that was plaguing the old version, and now I have a public server up and running for testing! To prevent anonymous destruction, if you want the IP for the LoMaS Alpha Server, send me a PM and I'll get back to you with the IP asap. Still looking for feedback. I don't know what to improve unless you guys tell me what you like or don't like, after all! The admin commands should work in singleplayer if you have cheats enabled. I probably should have listed how to use them! If you follow up any of those four base commands with ' help' then it will give you a list of their applicable uses. As for the carpet, thanks! One of the mods that adjusts what can-and-can't be breakable with certain tools is probably interfering with that. I'll look into it! An updated version of the LoMaS jar has been uploaded to CurseForge for downloading! Fixed Cooked Fish showing an invalid name. Fixed a bug where certain blocks were indestructible. Fixed bugs related to Dark Oak Sticks. Fixed a bug that could cause sick animals to improperly drop resources. Added a new block, but it doesn't currently do anything. Love this mod. When is the next update planned? To answer your question- I'm not sure when the next update will be coming out. I'm still committed to finishing this eventually, but since it's playable at the moment and hasn't had the best reception, I've started working on a different project. However I do want to emphasize that LoMaS WILL be completed eventually- I'm just not working on it at the moment. I saw your comment on reddit today and I checked out your mod. It seems pretty interesting so far, but I don't really know how to play it. Is there information somewhere to help my unknowingness? (Also, how do I PM you to get the server IP? ) Thanks in advance! For some reason, it takes a large performance toll on my computer. Is there anything in this mod that affects performance? Also, what does it mean when is says my data files are out of sync, then connected and unlocked? Does this have anything to do with my bad performance? Sorry if I posted in the wrong way, I signed up for Curse to ask these questions. 1) There are a few things in LoMaS that affect performance- the most notable is that Leaves and Animals both tick infrequently in order to function properly, so if you're in an area with a lot of animals or leaves, that could be affecting your performance, but I would potentially need more details in order to pinpoint down what sort of issues you're experiencing. 2) Are you playing on a server? LoMaS has a 'PolyZones' module that dynamically sends/updates zones of protection via small coordinates- for consistency purposes (since LoMaS is designed as a multiplayer experience) players must successfully have the files before being allowed to move. Since you were connected and unlocked, you successfully received the files. I've been playing it on a single player world, in a savanna biome with no animals in sight but a lot of savanna trees. I usually have around 45 fps, but the mod tanks my fps to ~0 and in between every time I move a few steps. Would my computer run it better if I were playing on a server? If this is true, I'd like to try out your server. For consistency, make sure you're running Forge 1.8.9, version 1764. I've PM'd you the IP to the Test Server. Hey it actually runs better on the server! 1) I fixed a critical bug that caused fire to spread in PolyZones. 2) I'm updating LoMaS to 1.10.2. It's a slow process, but the next release for LoMaS will be in 1.10.2. Updated to 1.10.2! New link is at the Curse, like usual. No server running quite yet, but I need all the help I can get testing 1.10.2 for any bugs. Found a bug on the 1.10.2 version.